10 Gal Cooler Mash Tun - Texas Brewing Inc.
A great way to get into all grain brewing! 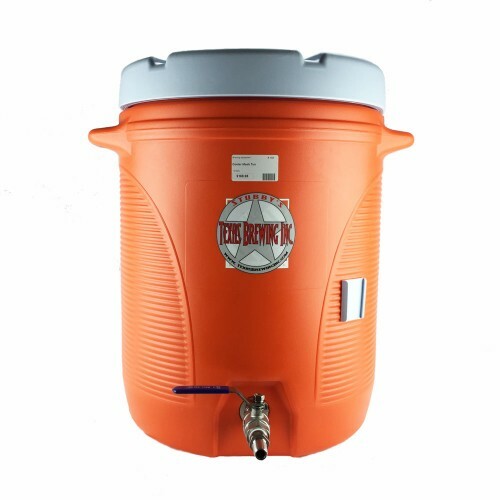 These coolers work very well as mash tuns, as you'll notice barely any temperature loss throughout your 1hr+ mash. Comes with our stainless steel weldless spigot and our 12" stainless steel false bottom. The stainless steel ball valve is superior to the bronze ball valve that many other companies sell. The barb size on the mash tun for the output is 1/2". 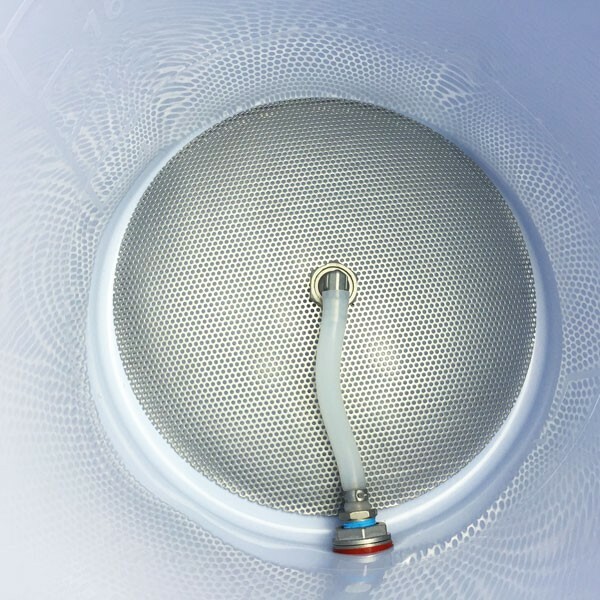 Tubing included with this Mash Tun is Silicone, and designed for the higher temperatures that you'll encounter during sparge.